This week saw The Oldie return to the Garrick for our Christmas party. It was a joyous atmosphere – everyone was getting stuck into the Christmas Season. Most of our regulars were present; even Wilfred De’Ath was there, on his way back from a lunch at the Gare du Nord, no doubt. 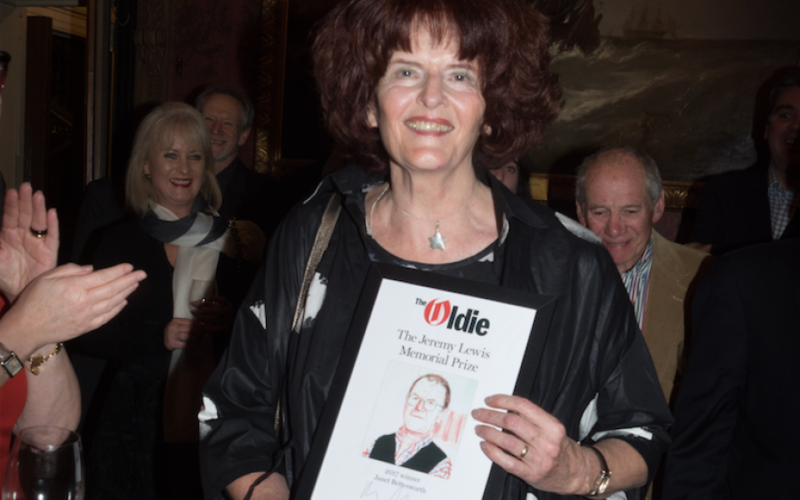 Sadly, there were two significant absences: the indefatigable Christmas spirit of Alexander Chancellor, eulogised by Sister Teresa in this month’s issue of the Oldie, and the great Jeremy Lewis, whose family very kindly joined us to announce the winner of the inaugural Jeremy Lewis Prize. Our Editor, Harry Mount, and Jeremy’s daughter, Jemima, paid tribute to the two great men, who gave so much of themselves, so generously, to this magnificent mag. After these moving words, Jemima and Harry announced the winner of Jeremy’s prize, Janet Bettesworth. Naturally, the room burst into applause, all present turning their heads and craning their necks with a view to congratulate the worthy victor… No such luck. Mrs. Bettesworth was nowhere to be found. After some hesitation and some rather more manic gesticulation, we discovered that Mrs. Bettesworth was paying a visit to the powder room. Barry Cryer, unwavering in the face of such adversity, came to the rescue with an immaculate rendition of the ‘parrot gag’ and the ‘Aylesbury duck gag’. At the conclusion of this impromptu act of genius, Mrs Bettesworth returned, welcomed by a hurrah, a framed copy of David Hockney’s portrait of Jeremy Lewis, and a cheque for the princely sum of £1,000.